A month ago I posted a mini-feature on the 5 best and worst smartphone collaborations to have graced or cursed our pockets. Well, I think I’ve just seen the best smartphone collaboration….EVER! 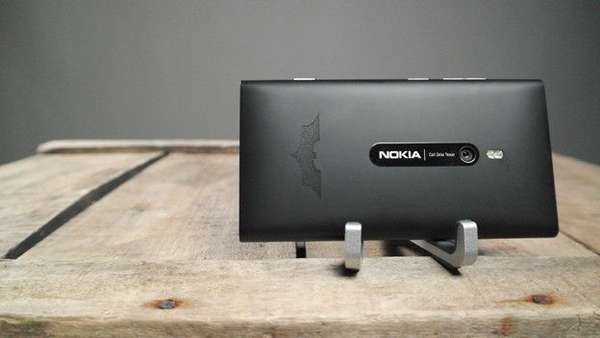 Unfortunately, I’ll have to disappoint the 10’s of Acer Liquid E Ferrari fans out there because the Nokia Lumia 800 Batman Dark Knight Rises edition goes straight in at number one, forcing the Acer out of the top five. 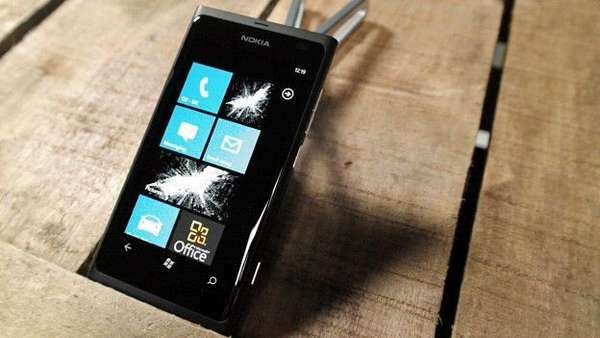 I also reviewed the standard Nokia Lumia 800 early last month and, aside from the battery issues which Nokia are now working on, I was very impressed with both the handset and Windows Phone 7.5. It gets cooler still, there are only 40 of the handsets in existence. So what makes them so special? 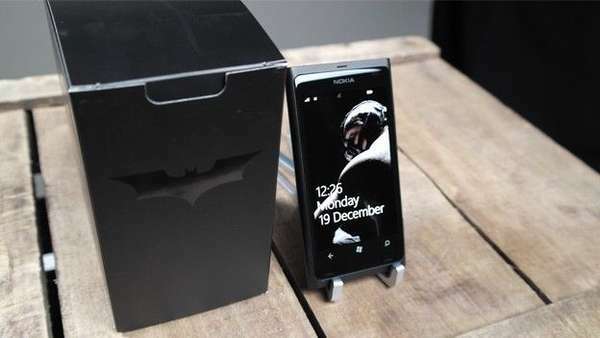 Well, apart from the obvious physical difference, the bat symbol laser-etched onto the back, these Lumia 800s come with a Dark Knight Rises live tile that automatically updates with exclusive information. There is also an exclusive and rather creepy Bane wallpaper. I don’t think I’m alone in saying that a Catwoman wallpaper would have been much more appealing. 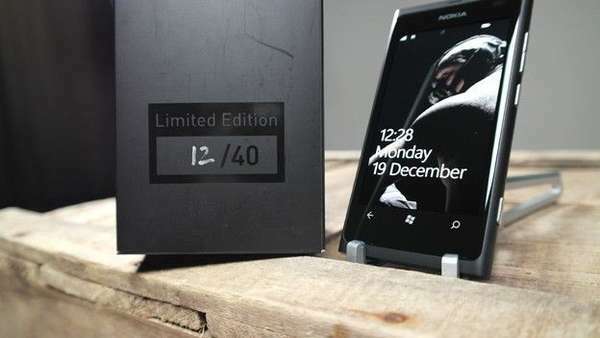 No word on pricing yet but it will certainly be more than the current £400 price of a regular Lumia 800. Thankfully, I doubt it will come close to the ridiculous £2000 you’d have to part with to get your hands on a Blackberry Porsche.